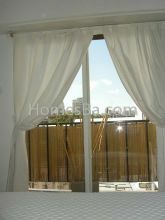 very bright and quiet apartment in Palermo Soho,Fully equipped, with open views and balcony. NE Oriented. The master bedroom has a double bed, air conditioning split and exit to the balcony. The other bedroom has a single bed and the second bed is pulled out from below and you have 2 single beds.Split air conditioning.Large closets. 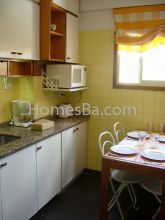 Full kitchen with utensils and dishes for 4,with oven, fridge with freezer, microwave, toaster. There is also a laundry with a washing machine. Complete and modern bathroom with bathtube. 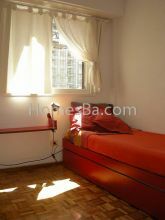 Minimal Period Rent: 1 Month. Included: Weekly maid included. 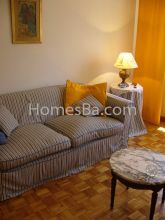 All fees included, except electricity and gas in long periods. Over a month rental = One month safety deposit. Separate laundry with washing machine and tender. View: Bright and quiet, open view.